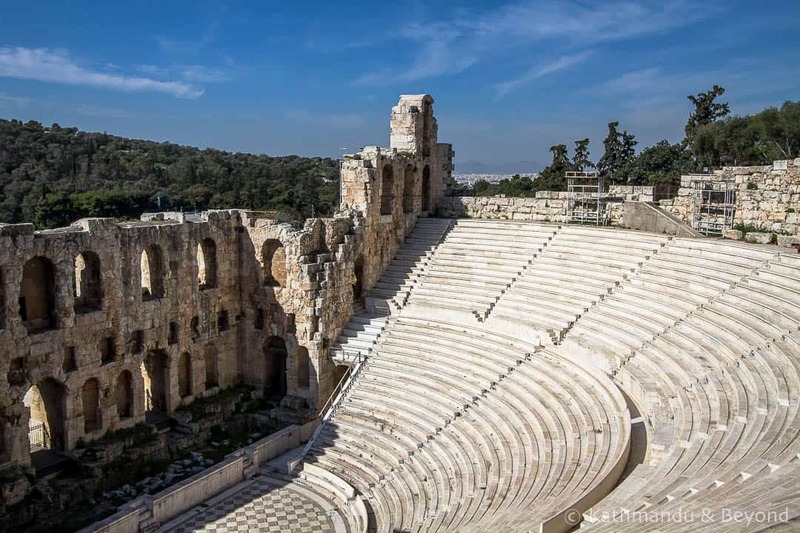 The Acropolis of Athens and its monuments, encompassing approximately 7.4 acres in total, are located on a hill above Athens that offers a glimpse into the life and times of the Ancient Greeks. The Acropolis of Athens and its monuments, encompassing approximately 7.4 acres in total, are located on a hill above Athens that offers a glimpse into the life and times of the Ancient Greeks. It became a UNESCO World Heritage Site in 1987. 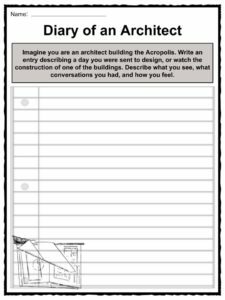 See the fact file below for more information on the Acropolis or alternatively, you can download our 21-page World Heritage Sites: The Acropolis worksheet pack to utilise within the classroom or home environment. The most famous of Greece’s landmarks and monuments is the Acropolis in Athens. It sits approximately 492 feet above sea level, strategically built so that the ancient Greeks would be better able to defend themselves. 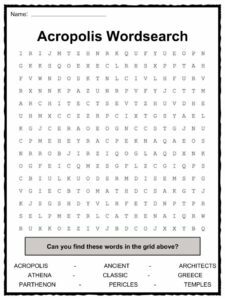 Acropolis translates to “High city” in Greek, and while other cities have an acropolis, the one in Athens is the most well-known. At the top of the acropolis lies important buildings that were built as a fortress so that people could escape if the city was attacked. 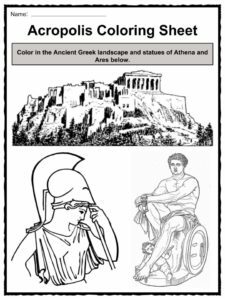 Some evidence suggests that the hill on which the acropolis was built was inhabited as early as the 4th millennium BC. Pericles (right), a Greek statesman and general of Athens during the Golden Age (the time between the Persian and Peloponnesian wars), was the man who was responsible for coordinating the construction of the Parthenon, the Propylaia, the Temple of Athena Nike, and the Erechtheion. Many buildings were destroyed by the Persians in 480 BCE; as a result, new walls were built around the sacred remains that were buried; it took approximately fifty years to build these Some repairs were made to the acropolis over the next 500 years. After the Ottoman conquest of Greece, the Turkish army used the Parthenon as its headquarters. In 1687, during the siege of the Venetians in the Morean War (depiction to the right), many of the buildings were damaged. Only a small fraction of the entire acropolis remains to this day, and is accessible via walking up the hill. Was replaced eventually by the Erechtheion. The architects who were mainly responsible for developing the Acropolis were Iktinos, Kallikrates, and Mnesikles. 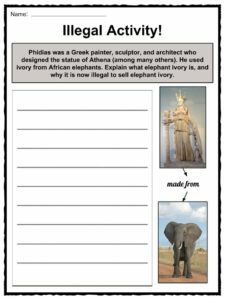 Important sculptors who transformed the hill into a beautiful and well-embellished landmark were Pheidias, Alkamenes, and Agorakritos. The ideas of democracy, philosophy, theatre, and freedom of expression and speech were essentially “born’ on this hill. 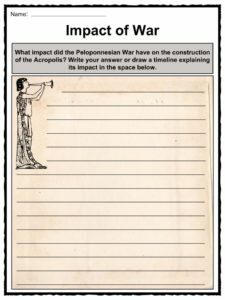 The Acropolis has survived wars, natural disasters, bombardments, and explosions for nearly 25 centuries. The Acropolis is known as a shining example of Greek Classical art and architecture, as well as a centrepiece of history. The best time to visit the Acropolis is in the late winter or spring, as it is the greenest and most beautiful. A combination of modern technological know-how and ancient techniques was to be used. Since 2017, the project has come to a halt, but members have managed to restore nearly 1,000 stones (reassembled from fragments of the originals) and 3,000 tons of architectural members. 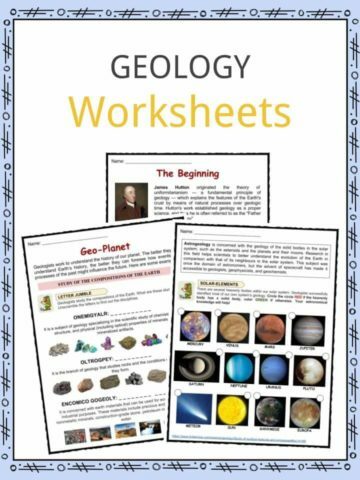 This is a fantastic bundle which includes everything you need to know about Acropolis across 21 in-depth pages. 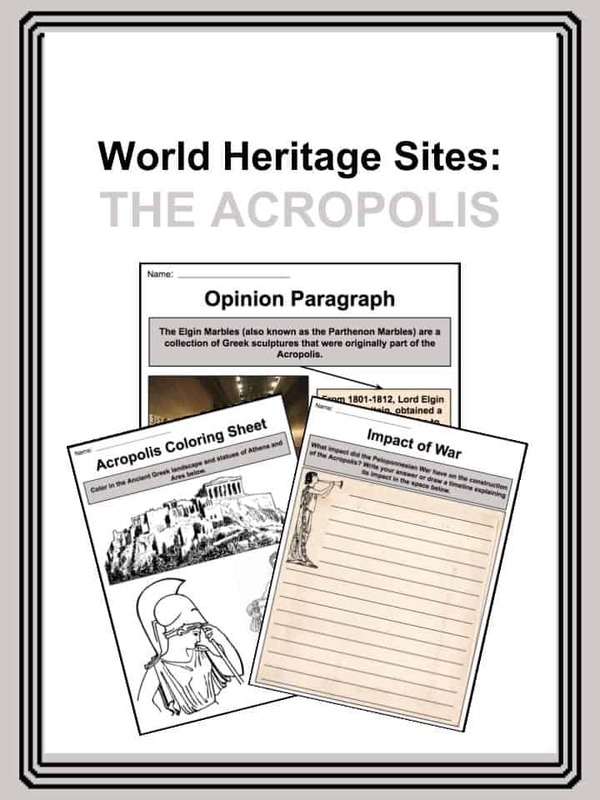 These are ready-to-use World Heritage Sites: The Acropolis worksheets that are perfect for teaching students about the Acropolis of Athens and its monuments, encompassing approximately 7.4 acres in total, are located on a hill above Athens that offers a glimpse into the life and times of the Ancient Greeks. It became a UNESCO World Heritage Site in 1987.